What type of “x-rays” do you use? 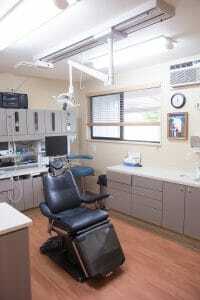 Santa Rosa & Rohnert Park Oral Surgery uses only digital radiographs (x-rays). We have replace standard film with a flat electronic sensor. The created image is stored in our computer as part of your medical record. The images can be viewed, saved, or printed, and are easily shared with your collaborating dentists. Because we can enlarge or adjust the images and more easily compare multiple images over time, we are better able to identify significant changes earlier. The digital technology used in our office releases about half the radiation of conventional film radiographs. What type of X-rays will I have? The surgeons at Santa Rosa & Rohnert Park Oral Surgery generally use two types of dental images to plan your surgery. Each of these films has a specific purpose, and the physicians are careful to utilize only the imaging necessary to complete your surgical plan. Panoramic X-rays show the entire mouth on a single x-ray. They include all teeth on both upper and lower jaws as well as the jawbones, and sinuses. This is the standard image used to identify the location of missing, impacted, or malpositioned teeth, to evaluate the amount of bone for potential dental implant placement, and to compare the position of teeth to each other. This type of x-ray requires a special machine that circles around your head. Because the machine moves in a set path, you have to be positioned carefully. Devices attached to the x-ray machine hold your head and jaw in place. All this may look and feel intimidating, but the process is very safe and uses less radiation than the smaller, intraoral x-rays. Cone-beam computed tomography (iCAT Scan) provides three-dimensional images of the structures in the head and mouth. The cone-beam CT is particularly useful for diagnosing and treatment planning for severely impacted wisdom teeth, dental implant selection and placement, and in surgeries that are near or involve one of the major nerves in the mouth. A cone-beam scan uses less radiation than a medical CT scan but more than any standard dental x-ray.